I sit in his dressing room scared and nervous as I hear Brendon come over the mic. "Please excuse us guys. Ill be right back, and hopefully with (Y/N)." I sit there shaking as Brendon, Tyler and Josh all run in to comfort me. "What happened out there?" Josh asked. "Oh, I don&apos;t know. Maybe the fact that YOU THREW ME ONTO STAGE IN FRONT OF MILLIONS TO HEAR ME SING!!!" I shout sarcastically. "Hey, im sorry, its just, I wanted everyone to know that your so talented and I wanted them to know how much you meant to me." Brendon says sitting me on his lap. I hug him tight still shaking a bit. "B-but what if they laugh at me?" I ask trying to calm myself. "Babe, I promise they wont. I didn&apos;t laugh, and I don&apos;t laugh at good singers. Tyler and Josh didn&apos;t laugh either. Please, let me show them what you showed me. Let me brag to them about how amazing you are." He said and Tyler and Josh were just sitting there looking at me nodding. "Listen (Y/N), your amazing. I love you so much, as a friend of course, and I know you can do it! The first time I sang on stage was scared to death, I thought they would all hate me but look where it got me. This could be a great start for you (Y/N), you just have to take the risk." Tyler said. I just looked at him with a worried expression on my face. I take a deep breath in and out and after about 10 minutes of talking I decide to do it. We walk on stage and the crowd goes wild again. "Ok, everybody listen up. This is (Y/N)&apos;s first time singing in front of anyone other than me Tyler or Josh so please, be patient and wait for her to gain confidence" Everyone just screams as an answer and Brendon pulled me close to his chest as more screams were heard and he tries to whisper to me but it goes through the mic again. "Are you sure you want to do this?" "Yeah, id probably embarrass myself more if I don&apos;t" I say trying to stay confidant. The music starts up and Brendon starts singing and at the chorus I start singing. "If you love me let me go------"
The crowd goes crazy when I start singing. Brendon ends up letting me finish the whole song which made me extremely uneasy but I pushed through. I did it. I sang in front of millions of people. After I finished the crowd went crazy. They liked me, they actually liked me. "B-Brendon, I-I did it. I did it!" I say as Brendon turns to me and gives me a long kiss and embraces me in a hug and Dallon, Kenny, Dan, Tyler, and Josh all run up and come in for a group hug which nearly takes me to the ground. "(Y/N)! You did it! And they love you! Isn&apos;t that right guys!?" Brendon screams through his mic and the crowd screams again. 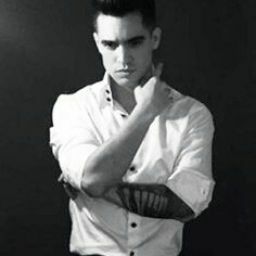 Brendon then picks me up off my feet and spins me in a circle as I wrap my legs around his torso and lay me head on his shoulder. He just holds me tighter than ever in his arms and I feel like I am the luckiest girl in the world. Brendon sets me down and everyone stands in a line and bows as we thank everyone for coming and we walk off stage. After we get back to the dressing room I jump up and down screaming &apos;I did it&apos;. "See, I knew you could do it! I just knew it!" Brendon says hugging me again. We get packed up and we all run back out to the bus and lock ourselves in. I still couldn&apos;t get over the fact that I had actually sang in front on millions of people. Tyler, Brendon, Josh, and I decide we should celebrate some how and Tyler agrees to go out and get us some pizzas and cokes while we just try and calm ourselves down from the long concert. I sit on the couch when I get a text from my mom. mom: oh come  on, you know what im talking about. You did a great job on that one song at his concert. me: ... I-im sorry mom. Just know that the stiches weren&apos;t Brendon&apos;s fault. mom: I know, and your lucky I know how he feels about you and how happy you are with him because if you guys weren&apos;t together I would sue him. me: I know you would mom, that&apos;s why I didn&apos;t tell you sooner. im sorry. mom: its not your fault, or Brendon&apos;s. Its ok, I just wanted to congratulate you on the song tonight and all the applause you got. me: thanks mom, Tyler&apos;s back with food. Were gonna have a little party with everyone to celebrate so I have to go. bye mom, love you. "Who was that?" I hear Tyler ask as he walks through the door. "uh...it was my mom...Brendon, did you tell her about your plans and the concert?" I ask as Brendon gives me an &apos;uh oh&apos; look. "Uh, yeah... I did..." he answered "BRENDON! She almost sued you! Ugh, im sorry...im really sorry, I just don&apos;t want to lose you and we were really close...ugh, I hate myself" I said and Brendon picked me up off the couch and held me I his arms as I was trying to break free. "Brendon, p-put me d-" I was stopped when Brendon interrupted. "DONT YOU EVER SAY THAT AGAIN" He shouts. "S-say what?" I ask. "You better not hate yourself!" He shouts still not letting me out of his grip. 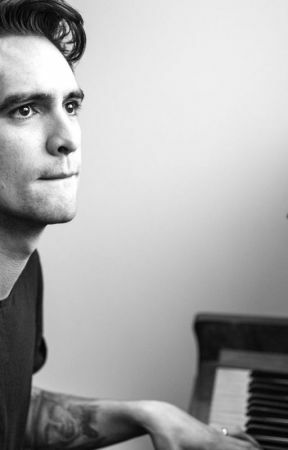 "b-bu-but Bren-" I say but I was once again cut off by Brendon. "NO, you are gonna promise your never gonna say that again!!!!" He shouts. "Ugh...Fine" I say in defeat as Brendon sets me down on the couch and he starts a dog pile on top of me. Brendon lands first, then Tyler lands on him, then Josh on him. Josh and Tyler eventually get off and Brendon is just there hovering over me as we both laugh. "Brendon, get off of me you big doof" I say trying to push him off. "Nope" He says in a pouty voice and we both laugh more but we were stopped when we heard a knock on the door and we both stood up trying to be quick. When Josh opens the door its Dan, Kenny and Dallon at the door. "Oh hey guys..." Brendon says scratching the back of his neck. "Hey Beebo. How&apos;s it going?" Kenny asks as Dan and Dallon start laughing because they had seen me and Brendon joke around. "Oh shut up guys, they weren&apos;t doing anything wrong, they were just being the adorable couple that they are." Tyler says which makes me blush and hide my face in Brendon&apos;s chest. "We know, we just like to make fun of him." Dan says and Dallon walks up to me and  gives me a hug and congratulates me on the concert. "Man, wheres that pizza, im starving" Kenny says.